LabCorp has agreed to acquire Pathology Associates Medical Laboratories (PAML) from its co-owners, Providence Health & Services and Catholic Health Initiatives (CHI), for an undisclosed price, the buyer and sellers said. In addition to PAML, LabCorp will also acquire PAML’s interest in five joint ventures: Colorado Laboratory Services (CLS), Kentucky Laboratory Services (KLS), MountainStar Clinical Laboratories (MSCL), PACLAB Network Laboratories, and Tri-Cities Laboratory (TCL). “This signature transaction strengthens LabCorp’s relationships with anchor health systems and expands LabCorp’s geographic presence into important markets,” David P. King, chairman and CEO, LabCorp, said in a statement yesterday. Headquartered in Spokane, WA, PAML is a healthcare solutions company focused on diagnostics; in addition to being among the nation’s largest medical reference laboratories focused on community-based lab services. PAML carries out those services in part through joint-venture partnerships with community-based hospitals. PAML and its joint ventures provide laboratory services in California, Colorado, Idaho, Kentucky, Montana, Oregon, Utah, and Washington. The deal expands LabCorp’s geographic footprint in the Pacific Northwest, Midwest, and South. LabCorp also provides services to several Swedish Medical Center facilities in Seattle, a partner within the Providence system. The hospital co-owners have all agreed to sell their joint-venture interests to LabCorp. They include CLS, based in Lakewood, CO; KLS, based in Lexington, KY; and PACLAB Network Laboratories, based in Renton, WA. However, the hospital partners in MSCL, based in Salt Lake City; and in TCL, based in Kennewick, WA, continue to evaluate future options for their ownership of the joint venture, “which may include a sale to LabCorp,” according to LabCorp and the sellers. The hospital co-owner of Alpha Medical Laboratory (Alpha), a PAML-affiliated joint venture based in Coeur d’Alene, ID, intends to acquire PAML’s interest in Alpha; after which, it will sell the joint venture assets to LabCorp upon final board approval, LabCorp, Providence and CHI added. The transactions are subject to customary closing conditions, including clearance under the Hart-Scott-Rodino Antitrust Improvements Act of 1976, as amended. LabCorp and the sellers expect the deals to close starting this year and continuing into 2018, adding that there will be no changes to operations or services at PAML or the joint ventures until then. 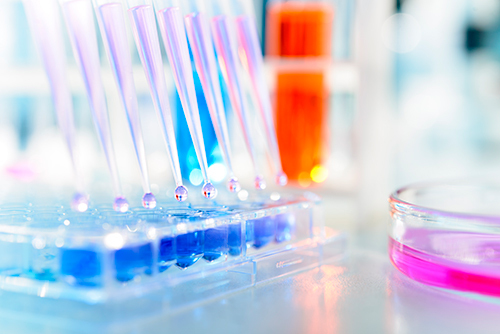 Following completion of the transactions, which will be staged, Providence, CHI, and the hospital joint-venture owners said they will continue to provide all existing in-patient hospital laboratory services. LabCorp will continue to provide the outreach testing services and reference laboratory services currently provided by PAML and the joint ventures that are part of the overall transactions, LabCorp and the sellers said. The transactions do not include any PAML joint venture services in California. “We are confident that our selection of LabCorp to be PAML’s new owner will serve the best interests of all who rely on us to meet their health care needs through comprehensive, high quality laboratory services,” stated Kevin Lofton, CEO of CHI.